If you follow me on snapchat (@samimast) you might have seen what I was up to last Sunday while I celebrated my grandma's 94th birthday. 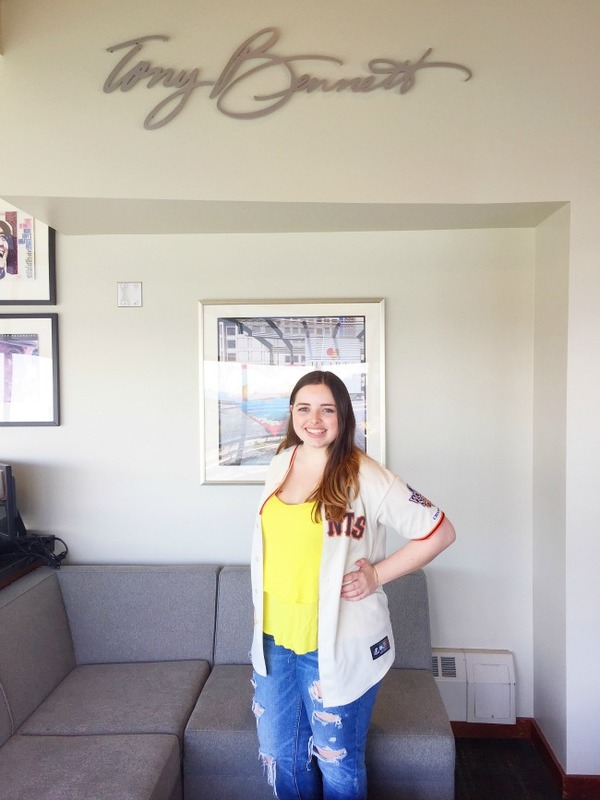 The whole family was invited up to AT&T park's Tony Bennett suite to celebrate, and it was such a great experience. For those that know me, the only sport I really enjoy is baseball. I've been to so many games at the park, as well as a few other ballparks around the US, and it's always such a way to spend a night with friends or family. I knew AT&T had suites within the ballpark, but I never once thought I would actually make it into one! I'm still not exactly sure how we made it up there for my grandma's party, but I'm so glad it happened. The whole time my family and my grandma's friends were all chit chatting with one another watching the game while eating all the delicious food that was provided to us while we were in the room. The last few games my family and I had gone to weren't so great because the Giants hadn't won, so obviously we thought it was bad luck for us to go. Luckily the odds were in our favor this game and we ended up scoring 13 runs with the Atlanta Braves only scoring 3 or 4! 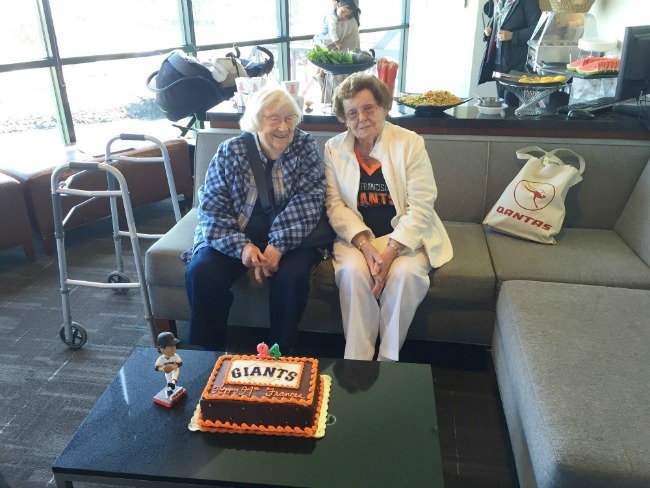 It was such an incredible game, and it just made it even better to know my grandma got to see the team win for her birthday! 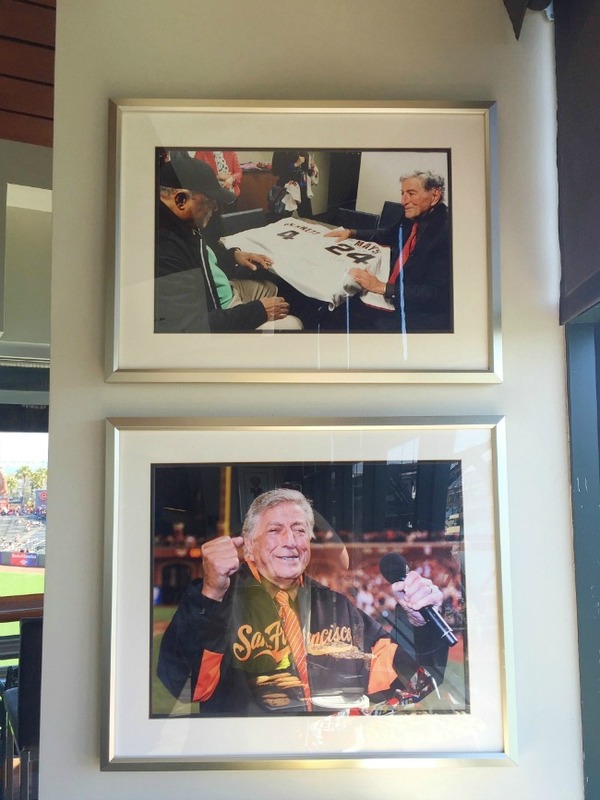 Here are a few photos from the suite that I took when I was there. That's my grandma (in white) and her best friend! 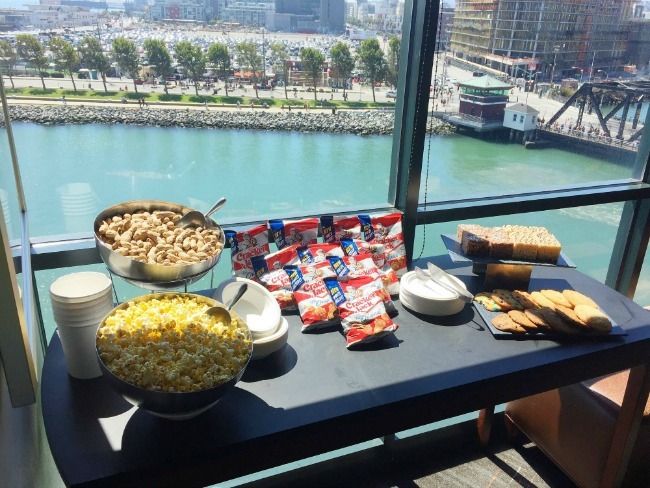 Have you ever been in a ballpark suite of any kind, or do you have a cool sporting event story? I would love to know in the comments! Also, this week of school has been so crazy for me with trying to balance everything out between classes, blogging, social media, my internship, etc. So bare with me if I get a bit slow on some things, most likely social media! Hope you're all having a great week so far! Looks like such a great evening! Looks like y'all had so much fun Sami! That's so adorable! Hope your grandma had fun! Aww how cute is this!! I bet your grandma had a great time. 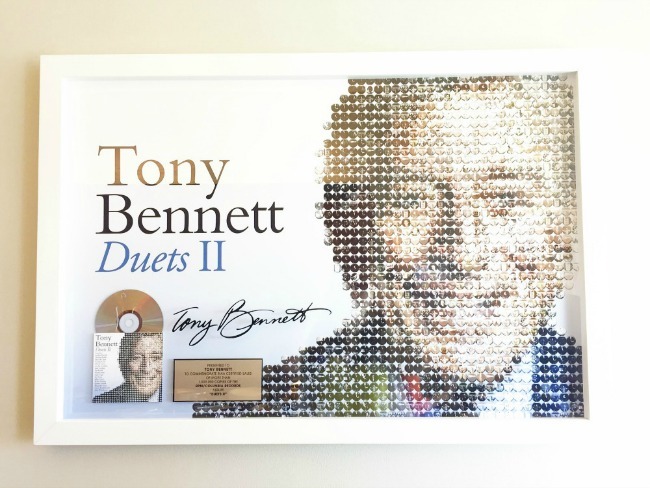 This is the coolest thing! I've never been in a suite at all. But it sure looks like fun! My parents have and have totally loved it. For my grandma's 60th, we surprised her with this huge party at a local bar. As my grandpa was bringing her into the bar, she got really angry at him asking why he was taking her into this dirty bar! It was hilarious! This looks like so much fun! Happy birthday to your sweet grandma! Your Grandma is so cute! I hope she had a great birthday! She is so cute, Happy Birthday to her! What a fun day. What a gorgeous suite and view! That is so awesome that you celebrated your Grandma's birthday there. Happy belated birthday to your Grandma! This sounds so awesome! I went to a box suite at a racetrack once and it was so much fun! This is seriously so sweet! Such a fun way to celebrate your awesome grandma. How awesome!!! Your grandma seems so fun - my gma is 90 & I don't think she would ever want to do something like that. Love it!! 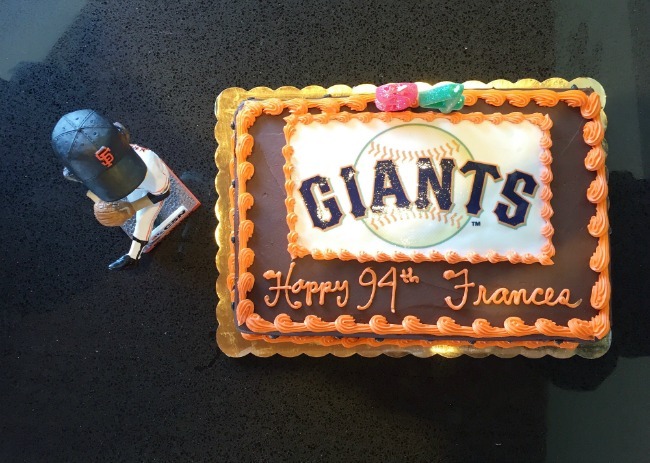 What a special birthday celebration! 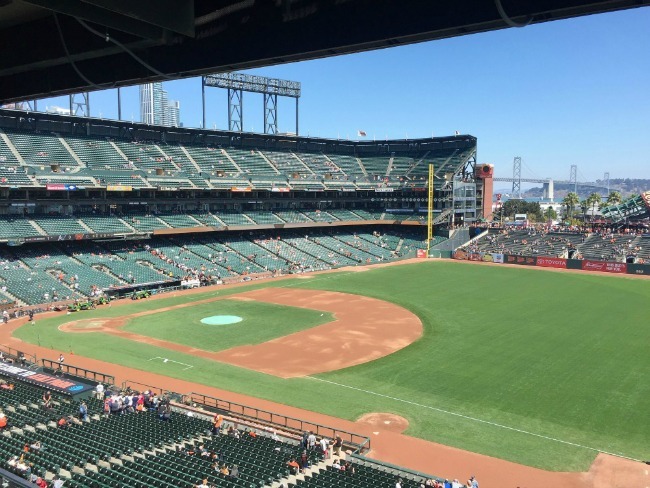 AT&T park is so gorgeous! You took some beautiful pictures! Looks like you all had a great time! 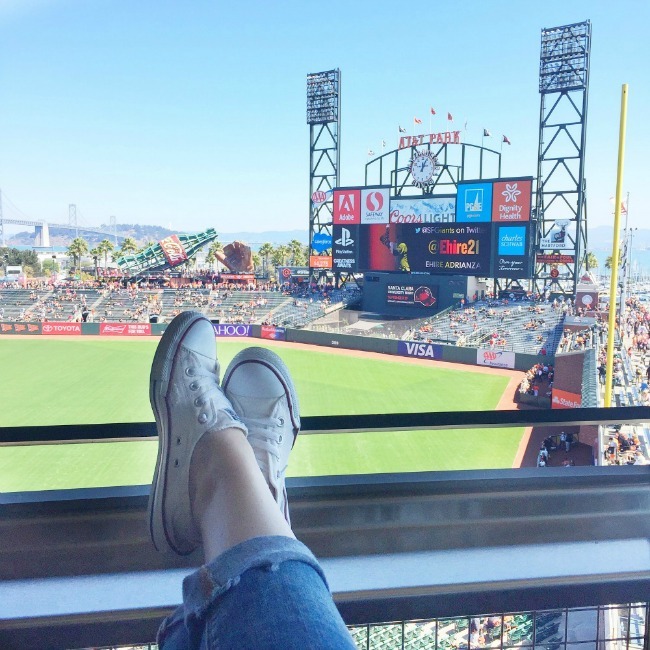 AT&T Park is for sure a great way to spend a birthday! I will definitely come check this place again with some other awesome friends of mine! It's one of best places for having a good time with a joyous feeling. And venue New York fascinates me with its great style and vibrant atmosphere.